The popular KDE text editor Kate now has Smarty 3 syntax highlighting thanks to Massimiliano Torromeo, check it out! 3.0.6 has been released. Mostly minor bug fixes, see the change log for details. Masahiro Takagi has kindly contributed the Smarty 3 Japanese doc translation, you can find them on the Documentation page. Thanks Masahiro! Anyone else who would like to contribute translations just ask on the developer mailing list. ipernity.com is a service that helps people store and share photos, videos and much more with their friends and family. It's used by photographers, group of friends and families. And it's worldwide : ipernity is available in 13 languages, thanks to the possibilities and robustness of Smarty ! We've been using intensively Smarty for the last 3 years. The Smarty syntax influenced the way we develop our service, opening great opportunities in terms of features, robustness and... time savings! More than just an html programming language, we use the Smarty features in the complex process of translating ipernity into 13 languages. - 200+ person translation team for 19 languages = 650 * 19 : 12,350 smarty html files! Webiny is a CMS / Booking System (and Webshop soon) that implements multi-client/domain/language organization (organisation). It has many modules, and many new modules are also coming in the first half of 2011. Webiny uses Smarty 3 since the first beta. The integrated template engine expands a lot of Smarty functions, which gives Webiny modules great possibilities to integrate within the users templates. Each page in Webiny has an assigned Smarty template, and each module can integrate into the smallest part of those templates, with a 'mini-template'. These kind of integration is called an 'action item'. Action item give users the ability to display image galleries, related pages, polls..etc, anywhere on the page with a simple drag'n'drop action. Users can also, very easily, define multiple 'mini-templates' for modules, so they can have eg. 3 templates just for displaying a poll or image gallery. Than they can choose, for each page, which mini-template they want to use. Webiny template engine registers several functions and resources into Smarty, so that this kind of parsing and displaying of content can be possible. Smarty here does most of the job, firsts it processes those 'mini-templates', and than it merges them with the main template. At first we thought that this process would slow down the system, but Smarty is really fast, and these kind of task was no problem at all. Unfortunately, for now, we cannot show the system to the public. I have prepared a few pages that give a more detailed insight of the system on my blog (powered by Webiny). I haven't had the time to proofread it, so I apologize if you encounter some irregularities. 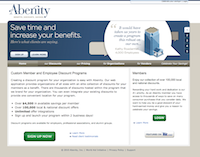 Abenity.com hosts and manages online discount programs for employers, associations and alumni groups. We have been online (and using Smarty templates) since 2006 and have over 200,000 registered members. Our entire site uses Smarty for each of its applications: our admin sites, our secure store, our discount program and our mobile-formatted site. Each of these applications use different template directories, however some tap into a shared template directory. For example, almost every application uses the same template file that contains form HTML. This makes it very easy for us to share resources and expand while using what we have already developed. Our online discount program was coded from the ground up so that different template "themes" can applied to re-style the content far beyond what CSS re-styling can afford. This has led to several thousands of dollars in customization revenue for our company that could not be as easily achieved with any other strategy. 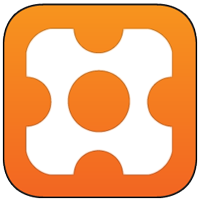 We started using Smarty 3 on some new parts of our sites while the old parts were still using Smarty 2. The transition was fairly straightforward and by using symbolic links to template directories it was a snap to switch between Smarty 3 and Smarty 2. We have used this strategy to easily upgrade revisions of Smarty 3 without any downtime whatsoever. Having developed with PHP and Smarty for years now I can't imagine going back to writing HTML directly into PHP files. Our discount program relies heavily on MySQL queries to build modules within our site based on our user's ZIP code and we are looking forward to integrating Smarty's ability to cache limited page sections so that the load on our database can be reduced. Dwayne from ilikekillnerds.com has posted a very small Code Igniter library for implementing Smarty 3 templates in the Code Igniter framework. Check it out! Developed in PHP, Magix CMS is strongly influenced by the philosophy of Smarty. Presented at the show ForumPHP 2010 (AFUP), Magix CMS has the best score in comparison of CMS's by Programmez.com. Magix CMS uses the library Magix CjQuery, Jquery, Jquery-UI and Smarty 3 for a multitude of features, they are the foundation of the great success of this open source project. This object-oriented CMS has already been downloaded over 800 times in just a few weeks and feedback from users confirms that our choices are sound. All Widgets integrated in Magix CMS are developed with the help of Smarty by three new features that makes their achievements. Getting started coding using Smarty 3 remains easy and caching is becoming faster. Smarty version 3 allows greater freedom of movement and plays a predominant role in achieving any open source project. A great article on Smarty and other Template engines for PHP. This page generated in 0.01318 secs with TinyMVC and Smarty 3.